Marie Antoinette was a symbol of the monarchy of France, but she wasn’t French. Born Maria Antonia, she was Austrian, and grew up in Vienna at the Habsburg court. 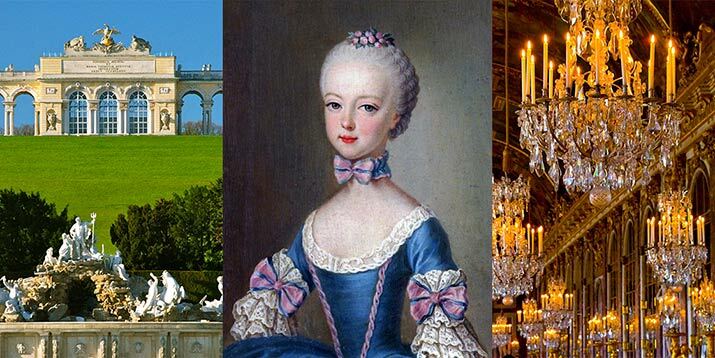 Her favorite palaces were Schoenbrunn, summer palace outside Vienna, and the Petit Trianon and Hamlet at Versailles.